Every homeowner knows that there’s always maintenance work which needs to be done to keep their building in good shape. Historic houses are no different! If anything, they can require more maintenance due to their age and the amount of visitor traffic they experience. So, the Pry house and barn are undergoing some repairs and restoration work this winter, courtesy of their owner, the National Park Service. 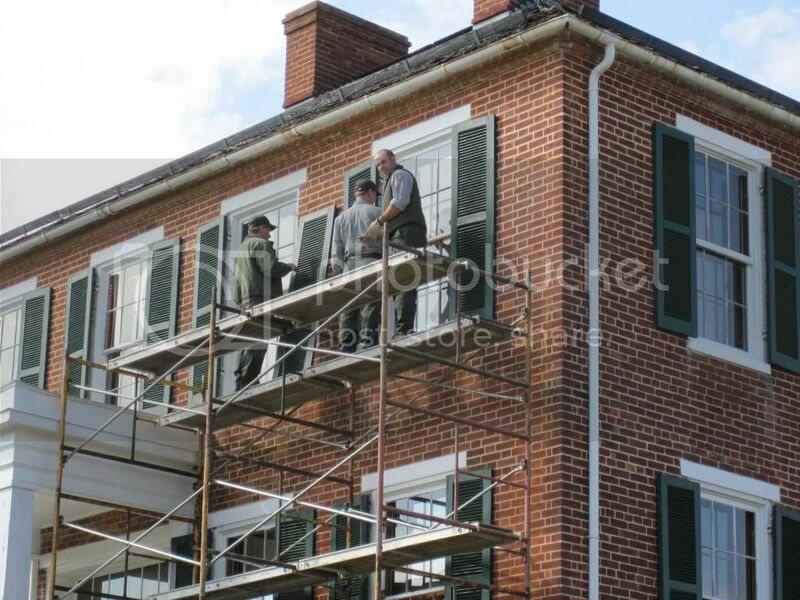 – Winter is a good time for these repairs, while the house is closed to visitors. 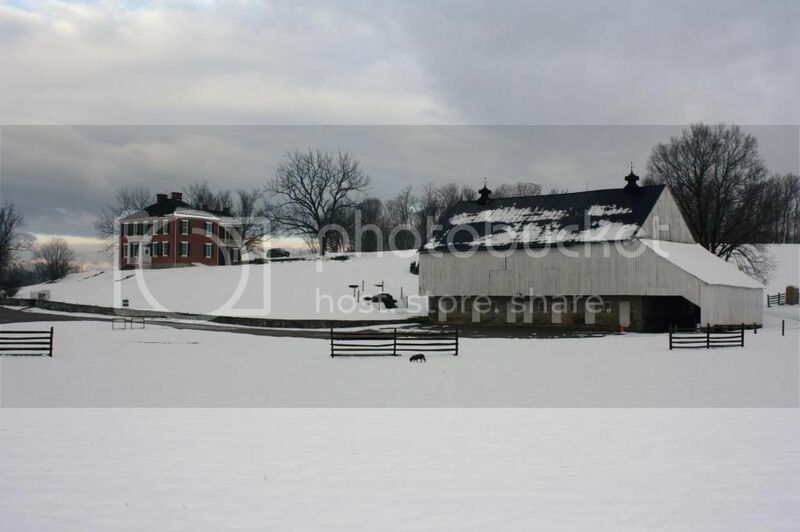 The Pry farm is certainly pretty when covered in snow though! 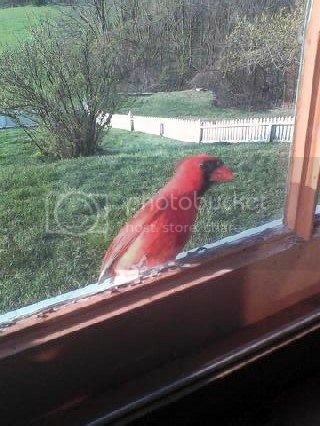 – Work was done on the house windows in 2012. 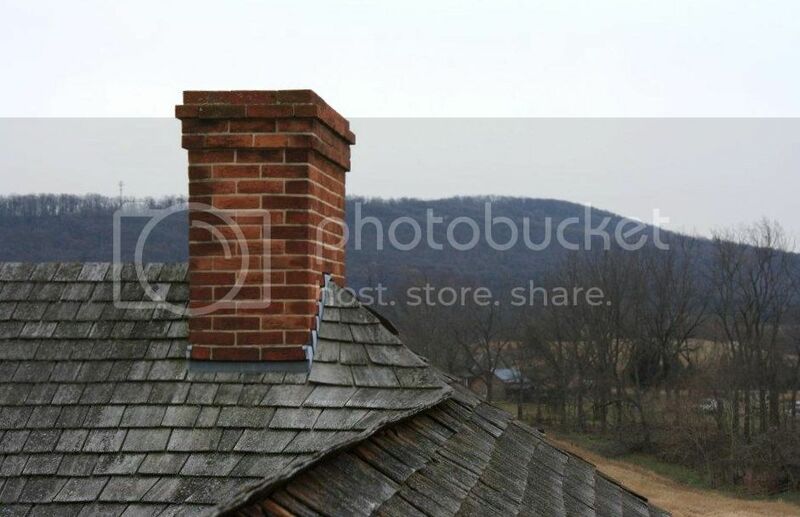 – These wooden shingles on the roof of the house were installed in the 1980s. It’s time for them to be replaced! This will help to protect the house from leaks and excess moisture. It will also create a better environment for the artifacts which are displayed inside. Don’t worry; there are no artifacts in the house right now! 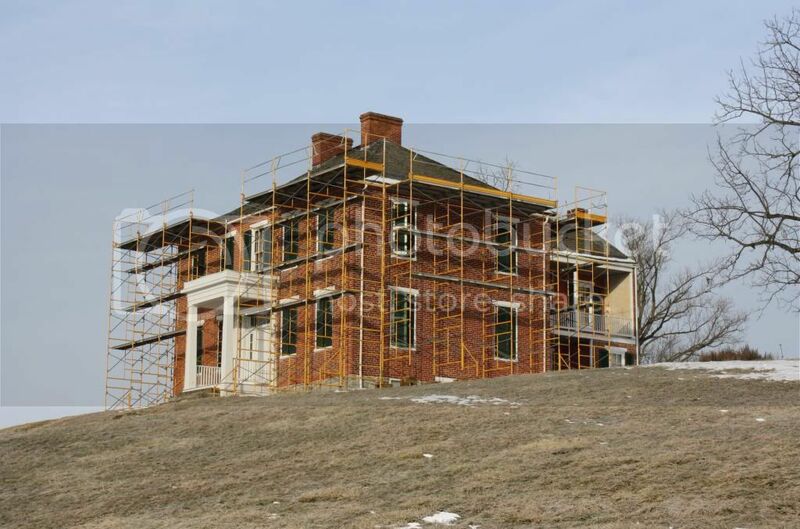 – So, for now the house is covered with scaffolding. There is work being done on the barn as well. The middle section and west hay mow were repaired a couple of years ago. 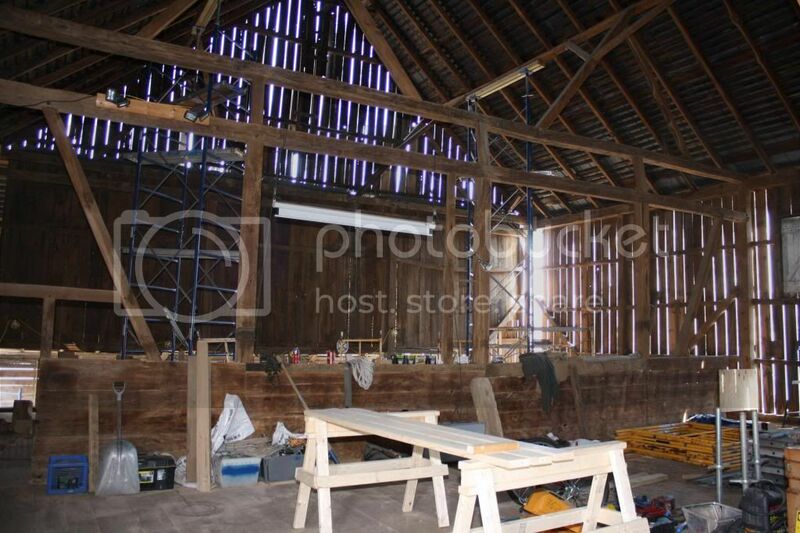 Now the east hay mow and the corn crib on the east end of the barn are being repaired and restored. 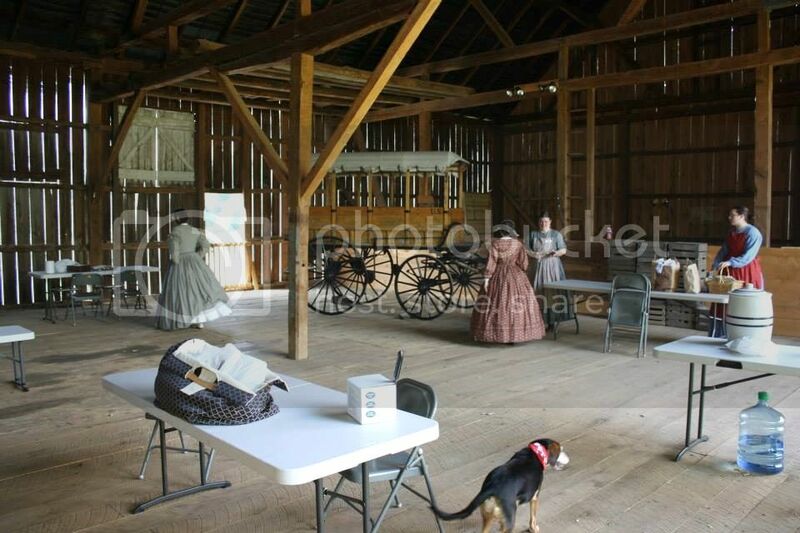 – Here is a view from the restored main section of the barn, looking into the restored west hay mow. 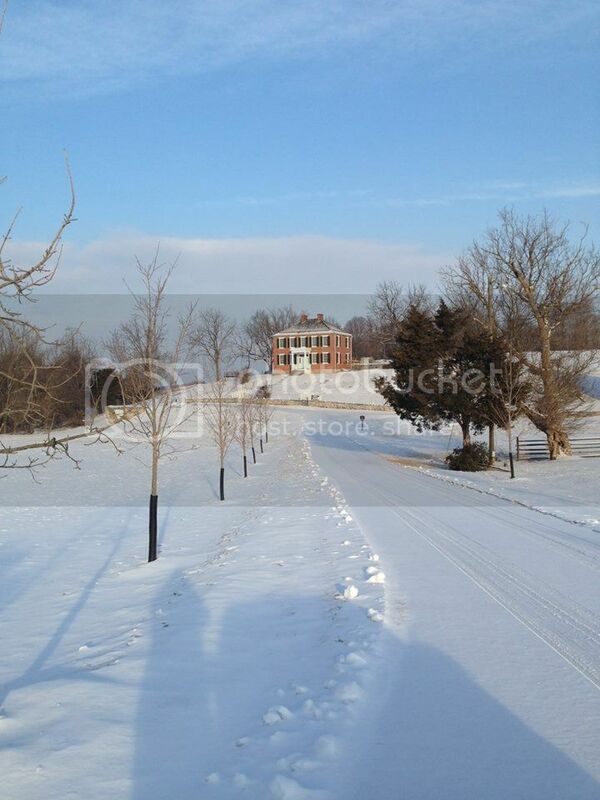 – The corn crib is on the far right side of the building in this photo. The east hay mow is on the right side of the main barn building. – The east mow will have new flooring installed, and its timbers repaired. 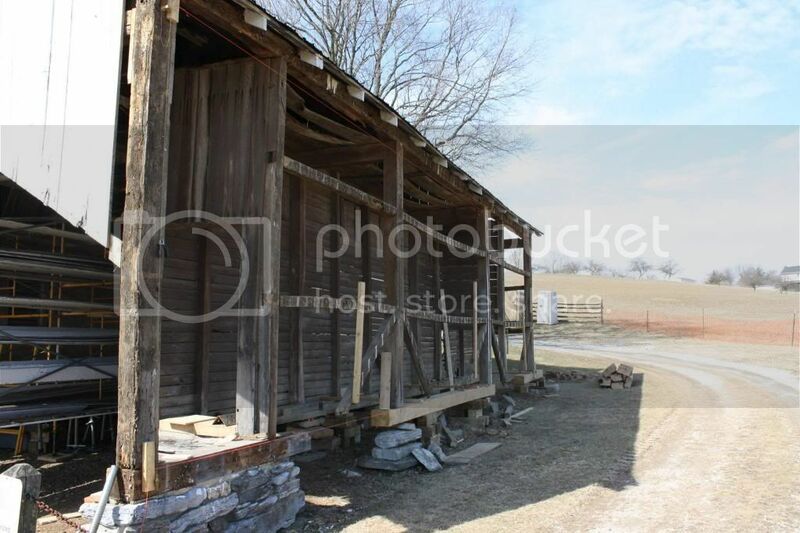 – The corn crib will have new concrete footings and stone piers, and the joists and sills will be repaired. – Some of our visitors are already eager to get a look at the repairs! If you are in the area, I hope you can come for a visit as well! Curator In The Big Easy!